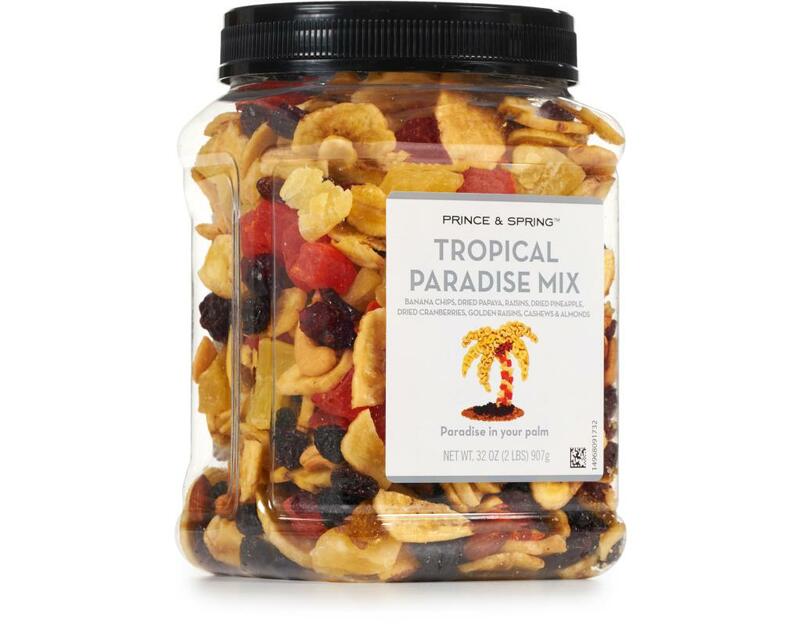 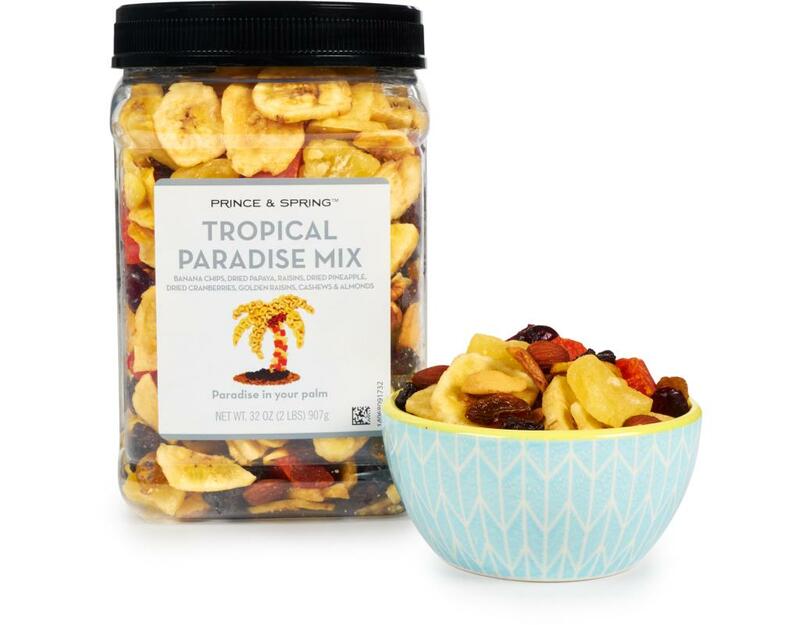 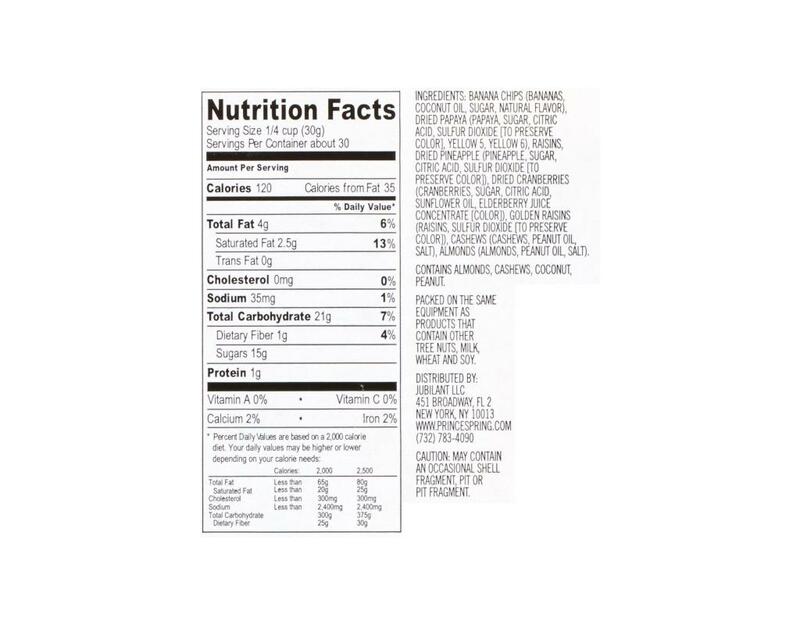 Island life has never felt so close as it does with Prince and Spring Tropical Trail Mix in your hand. 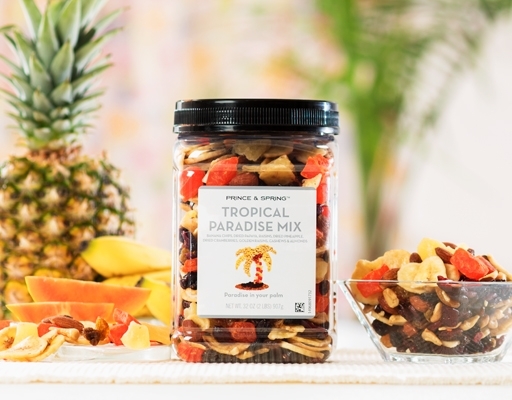 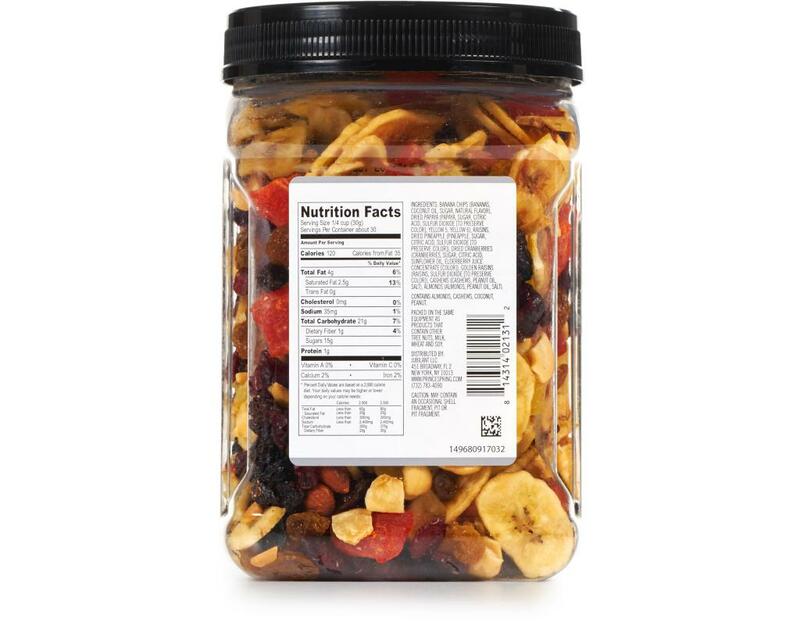 Filled with crunchy banana chips, sweet papaya and pineapple chunks, raisins, cranberries, almonds and cashews, this trail mix even has the locals talking. 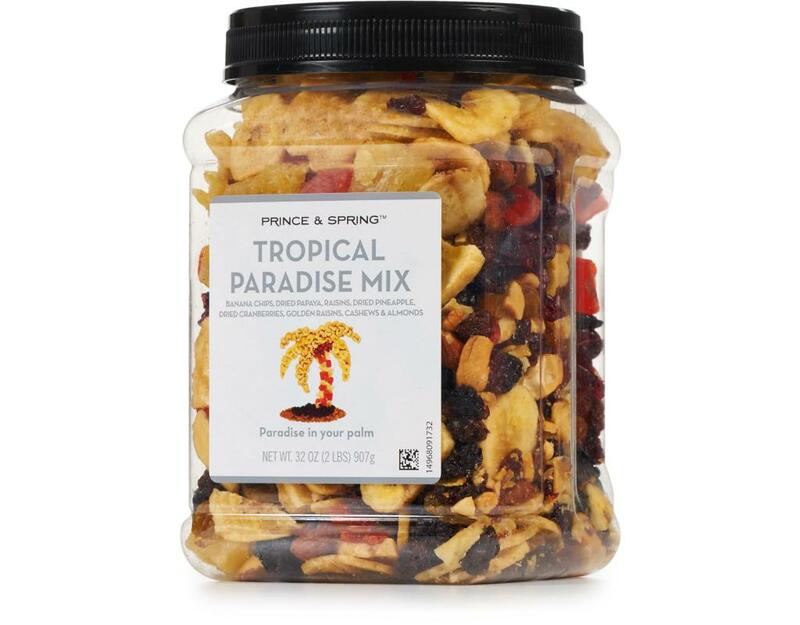 Waves of sweet and salty flavors combine with multiple textures to give your mouth the trip of a lifetime. 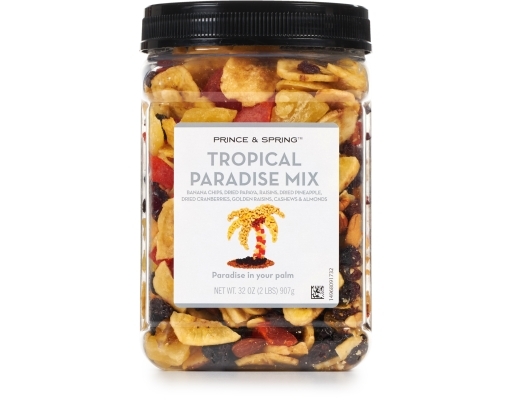 Have the Prince & Spring Tropical Trail Mix once, and you’ll be happy to spend all your sand dollars for a return visit to paradise.